With the high level of aging in the population, nursing is one area in which job creation and growth are expected to continue to rise. Board of Labor statistics has put the numbers at about an 18% increase by 2018. Not only is nursing a rewarding career in itself, it also promises an above average job outlook in terms of security and stability. Both Registered Nurses and Licensed Practical Nurses are in extreme demand throughout the state and the nation. It can sometimes be hard for graduates to find employment quickly, but with all of the accredited nursing school and nurse programs available, the high level of preparatory education in Minnesota dramatically increases your chances. According to the Minnesota State Board of Nursing, there are 15 accredited LPN schools in Minnesota. LPN degrees are popular among students who wish to enter the nursing workforce as soon as possible. Many choose to continue on towards their RN while they are working as LPNs. Depending on the school, the length of program time is between 8 to 12 months, and typically includes such course matter as nutrition, math, physiology and anatomy, pharmacology and psychology. There is a large focus on hands on learning to prepare graduates for day-to-day working situations. Once you have graduated from the LPN program, you can take the NCLEX-PN exam. 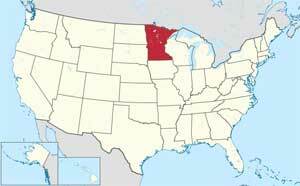 Like most other states, there are two options for becoming an RN in Minnesota. You may prefer to graduate with an Associate Degree in Nursing (ADN), which will take about 2 years, or you may choose to take the 4 year Bachelor of Science in Nursing (BSN) degree instead. There are 23 accredited ADN programs, and there are 18 accredited BSN programs available throughout the state. As an RN, you will be responsible for administering medication and injections, creating treatment plans, performing diagnostic procedures, treating medical emergencies and many other things. After graduation from either program, you will be able to write the NCLEX-RN exam. Recent studies have shown that about 80% of entry level master’s and BSN graduates in Minnesota receive job offers within 4 to 6 months. For those who prefer to learn at their own pace, or are currently unable to attend an institution full-time, online nursing degrees may be worth looking into. Within the Minnesota school system, there are 2 programs available for receiving your LPN degree: Northland Community and Technical College and Northwest Technical College.